User is already a Member of this group. Also the user is not inside Chatter Group --Members . But when we activate the user, automatically it will be appear in Chatter Group. 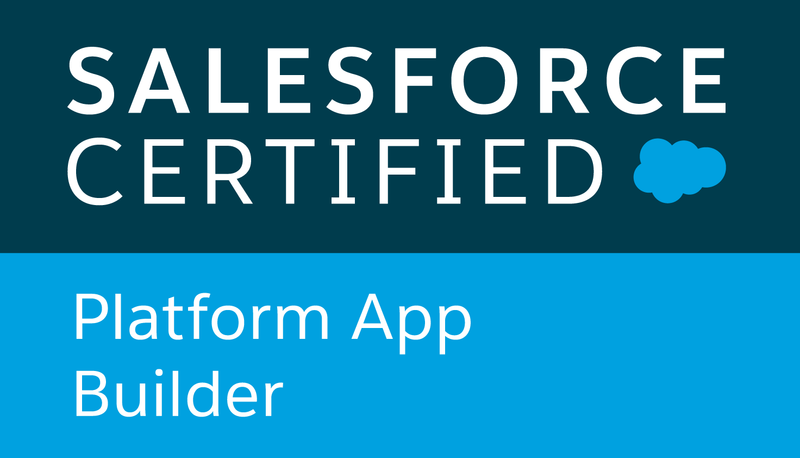 All of this is handled by Salesforce. So we need to verify if the user is a member of the group before adding it. I never thought this can be done using formula, but yes.Please refer to here. Scenario : We want to see total how many Account that has Opportunities. Create one formula field in Account object with return type Number and 0 Decimal place.Place 1 at Formula field. Example of the report below, we want to know how many Account that has Opportunity. So we click Customize Report, Click on Unique Account -> Choose Summarize this Report ,select Sum and Apply. Total of Account is 8. Previously before Summer '16 we are not able to evaluate the next criteria if first criteria is correct.So once the process fall into true condition , implement the action and that's it.It will stop. Previously it works something like this.Notice that if condition1 is fulfilled , it will never go to else condition. In order for it to evaluate the next criteria, just click on the STOP and it will give the screen shot like below.REMEMBER ,THIS FEATURE DOES NOT WORK FOR SCHEDULE ACTIONS. I created Process Builder to automatically add user into Chatter group , refer to here.It works fine when I update the user but it fail when I create new user. An error occurred at element Add_User_to_All_Chatter_Group (FlowRecordCreate). I am assuming during creation, the user id is not yet committed, so it not able to set variable in Flow.After do some googling , I found some solution that can be applied on my case. 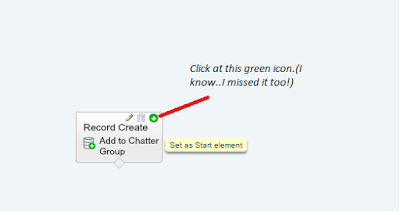 I also add new Record Lookup in my Flow, to check if the user already exist in Chatter group and Decision when the Lookup Result is not found. Good thing, due to this I can remove custom field that I used to indicate if the User already added into the group. In Process Builder , I use Scheduled Actions so I have to use 'Formula evaluates to true'.Scheduled Actions option is not available if 'Conditions are met' is ticked.In order to run this process builder as soon as possible,I choose 1 Hours Before LastModified. After that, I create new user and there no more error.Also working fine for update. I am looking for solution to automatically add user to Chatter group and found this interesting solution using Flow Trigger and Workflow rule.However I am not able to implement it because Flow Trigger is pilot feature not GA feature.If I really want it, I can just call Salesforce Support to enable it but I m kinda of lazy. But I just tweak this solution by using Process Builder.I think the solution is available out there but let me just update mine. If you are enabling namespace you might face this issue : Workflow Action Failed to Trigger Flow when triggering Flow created after enabling a namespace , and this solution might not work for you. Step 2: Create custom field datatype checkbox in User object. This is depending on how you want to implement logic to add user.In my case, if this checkbox is false it will add user to the group.My custom field name is 'Sales Info Center Group'. Create a variable to receive user id parameter. At field choose Standard > CollaborationGroupId > and also add another field MemberId which is referring to the variable UserId that you created just now.The click OK.
Save your flow and activate it. Choose User object, for my case I start the process when a record is created or edited. I add two action , first it will call the Flow that we created previously.Second, it will update checkbox field to true like picture below.Don't forget to save your Process Builder and activate it. Choose one active user, update the record.Check out the group member. Share with me if you have any idea or comment.Thanks. I created a visualforce page to display report that join between Attachment and Content version based on Attachment Parent Type.I bumped into view state exception when retrieving attachment on Opportunity that contains more than 1000 row. Note that listAttachment and listMigrationObject is the biggest contributor on this exception. Below I share snippet on how I retrieve listAttachment that causing exceed ViewState. Note that assigning SOQL to list and directly use SOQL in the loop will make a different. See, there is no longer exception. I will do the same on the other list. 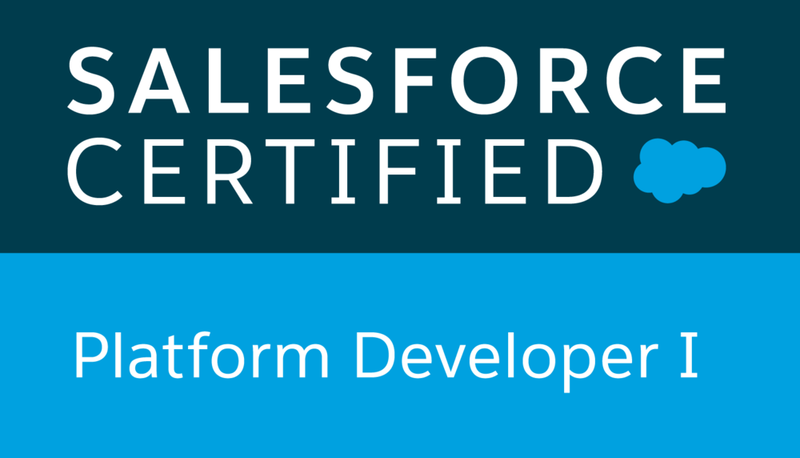 You might want to check on An Introduction to Visualforce View State . The requirement is to create visualforce and make it as one of Homepage component.The style should be same as Homepage style. "I notice the blue section in the component is different from Homepage component." Krik... Krikk.. I didn't notice that until I have to print screen and put it side to side.Oh,actually it is different, I thought it just screen reflection.So how can I get the Homepage style color. This is my page definition,note I use tabStyle = Account .So it gives me the blue color same like Account tab. By default if we are not defining the tabStyle,it will use Homepage style ...but in my case it gives me black color. In order to get the Homepage style I need to set showHeader="true" , by default showHeader is true except for Salesforce1 and Lightning Experience.Remember to remove applyHtmlTag when we set showHeader="true". Now it gives me the same blue. Unique naming: Make object and field names and labels concise, specific, and descriptive. And very importantly, unique. For example, if your recruiting app’s Position object has a field named Skill Set, use something like Candidate Skill Set on the Candidate object to describe applicants’ skills. Thoughtful architecture: When adding fields to an object, what’s the cleanest and most efficient way to capture data? For example, instead of a long list of checkboxes to track the regions that currently have a particular position open, use a picklist. Default field values: Don’t assign default values to fields that are both required and unique, as this can cause uniqueness errors. Global data updates: Before changing a field type (for example from checkbox to picklist), make sure the change makes sense for all records that have that field. Help for users: Add help text when defining new objects or fields. Help text should describe exactly what the object or field is for. In relational database such Oracle,MySql we use table to store data but in Salesforce we use object.Here the summary of term that use in relational database and the term that we use in Salesforce. 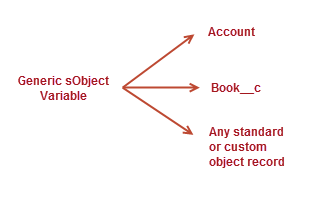 Standard Object - objects included by Salesforce by default such as Account,Opportunity,Leads. Custom Object-object that created by user/developer to support the need of organization. automatically assigned by Force.com.Usually 15 case sensitive characters.It is unique. Default read only field created by Force.com upon object created such as CreatedDate,CreatedBy,LastModifiedDate etc. required but not unique, depend on how we want to identify the record. Created by user .Support type such as autonumber,picklist,text,geolocation etc. Table is generated using Table Generator.